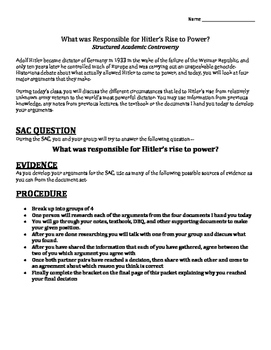 This is a fun, interactive, and informative lesson where students are given 1 of 4 arguments and have to debate in a structured format how it is "Hitler came to power." 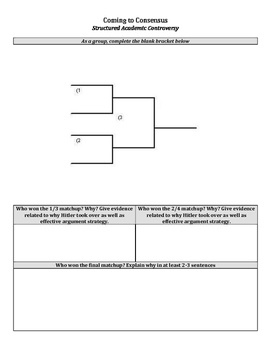 This unit always comes up during the March Madness tournament and I created it with a "bracket format" so that each of the arguments can advance to face the other argument in the championship. 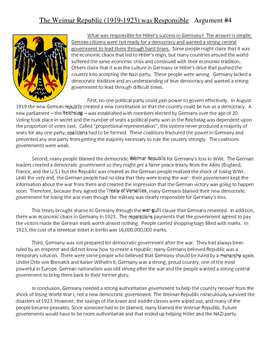 The four topics include: German culture, Weimar Republic, the social and economic conditions, and Hitler himself. 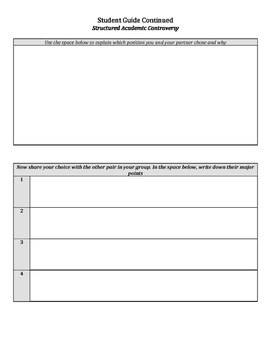 Great activity that will get your students debating and learning!